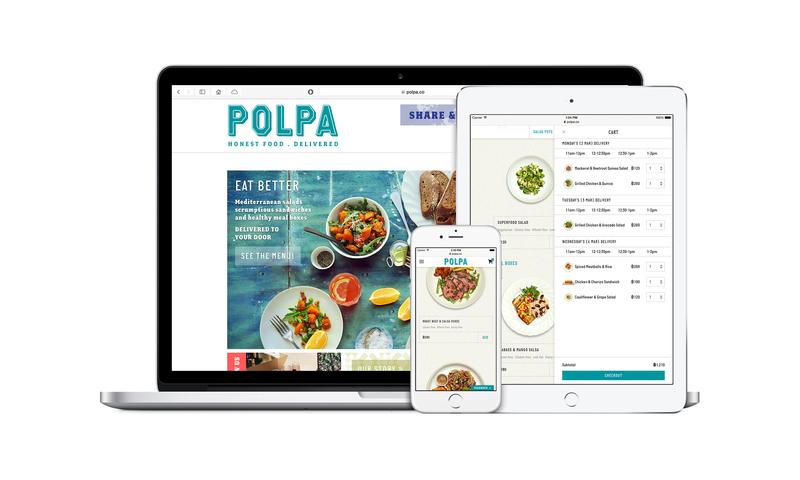 Polpa, a new healthy lunch delivery service, has launched in Bangkok. Offering nutritious, high-quality food through a convenient online platform, the new business goes above and beyond traditional services. For between 120-280 THB, Polpa provides unique Mediterranean inspired salads, gourmet sandwiches and wholesome meal boxes, handmade daily using the best natural ingredients. Through www.polpa.co, whether online or on the move with their smartphones, our customers are never more than a few clicks away from getting lunch sorted for the entire week. Unlike traditional food delivery services, Polpa offers both superior quality food and the ability to order for one day or an entire two week’s worth of lunches in advance. Customers access Polpa through the website and choose from our unique menu, handmade daily using ingredients sourced from artisanal suppliers, which where possible are also local, organic and sustainable. Customers select a convenient delivery window each day and Polpa notifies them as soon as their food is on route. Packaged in biodegradable containers and delivered to the customers door using bicycle messengers, underlines Polpa’s ethos of “it’s good business to do good”. Polpa is for professionals who enjoy good food, but need a convenient way to eat without disrupting their busy lives. It’s also for busy parents who care about the quality of the food served to their children. Polpa’s customers typically have a high awareness of healthy living and an appreciation for convenient tasty food. Polpa’s team is led by Prongfa (Fon) Uennatornwaranggoon and Julian Timings. Fon has extensive experience in the food industry, having worked in an array of roles for an international resturant group based in London, UK. Julian has a strong engineering background having gained a PhD from the University of Cambridge and worked at the forefront of technology in Formula One motorsport. Polpa leverages their combined expertise and passion for gastronomy and technology as they seek to build a brand and scale the business.